Enjoy a Visit to Akita Prefecture! Have you considered a visit to Akita Prefecture (秋田県) before? Akita Prefecture is located within the Tohoku region in northern Japan. It’s made up of 13 cities with its capital being Akita City. Akita doesn’t see a ton of tourism from foreigners, but they do have a few great attractions such as Kakunodate Castle, Lake Tazawa and hot springs. Although the castle no longer remains, there is still a lot to see around the premises of Kakunodate, and it is especially beautiful during cherry blossom season. Around one million people will visit here during this time each year! 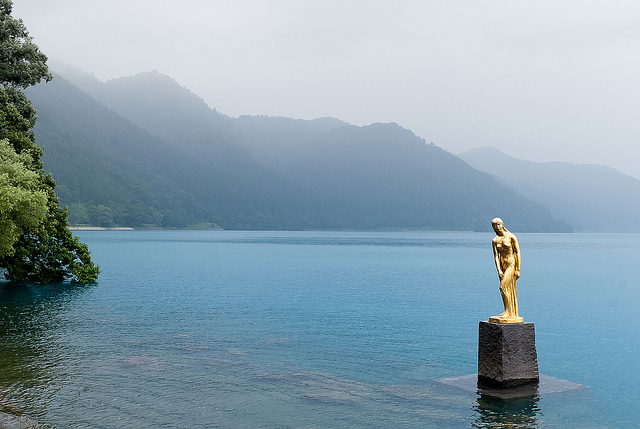 Another beautiful area is Lake Tazawa, which offers stunning views of the surrounding mountains. It’s a caldera lake located just south of the Toawada-Hachimantai National Park. Many people visit here because it is Japan’s deepest lake. Lastly, if you’re looking for a more relaxing vacation, then check out on of Akita’s many hot spring resorts. 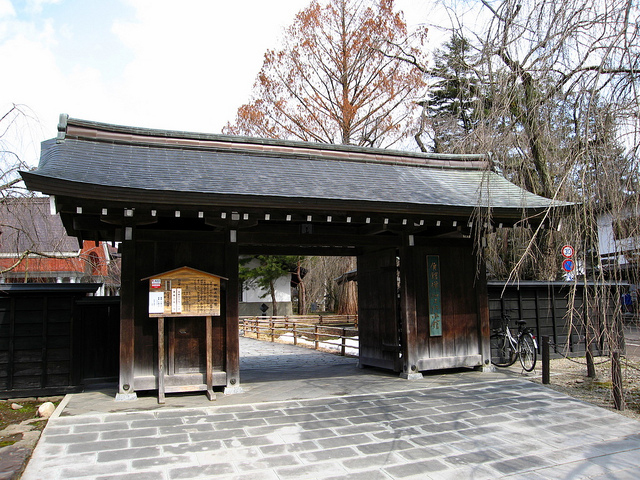 One of the hot springs there, called Tsurunoyu Onsen, is very famous because it dates back to the Edo Period. One of the reasons most visitors go to Akita is for their famous festivals and events. 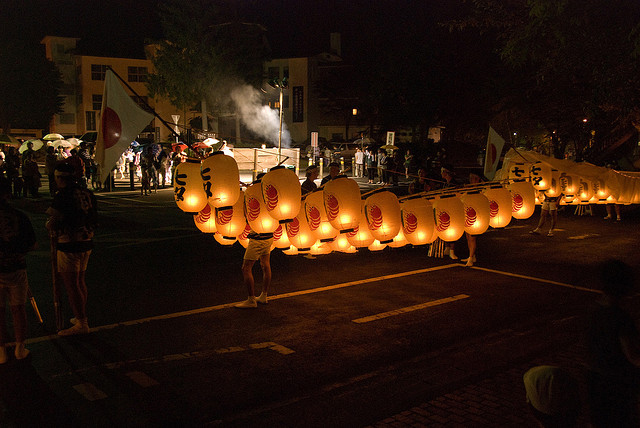 The most famous event would be the Kanto Festival (竿燈まつり). This festival takes place each year from August 3rd through 6th. You can expect tons of colorful lanterns hanging from long bamboo poles, drums and dancing. This festival is actually related to the Tanabata celebration, which is celebrated all across Japan. The word ‘kanto’ refers to the long bamboo poles that performances carry. It’s impressive watching them carry these poles of lanterns throughout the street because it looks very heavy. Each pole can have as many as 46 lanterns attached to it and each lantern is around waist-height in size! The poles do come in different lengths, but many of them are at least 40 feet long and weighing around 100 pounds. Performers balance these long poles on their hands, shoulders, or even on top of their heads as they march around the city. Not only that, but each lantern has a burning candle on the inside. Talk about risky! It’s definitely a festival you don’t want to miss. Before you leave Akita, because to buy some Inaniwa Udon, the region’s specialty omiyage. These noodles originated at the beginning on the Edo period and are still popular to buy today!